Makeup obsessed Carlos Duarte knows he has major talent when it comes to making faces look fresh and fabulous. The 16-year-old just needs to prove his prowess to those around him, who aren’t always willing to give a high school kid with thrift shop ensembles and little in the way of professional experience a shot. But when this fierce teen fame-seeker manages to score a coveted makeup artist position at Macy’s Feature Face counter, it seems like this native Manhattanite has finally scored the big break he had always wished for. And when the famed Shirlena Day, a starring anchor on an SNL-like comedy show, takes a liking to the determined boy, drama flares between Carlos and his jealous boss. When readers first encounter Carlos, he imagines himself as the world renowned Carrlos, who can afford to move his mother into an expensive apartment and splurge on designer clothes. In reality, Wright’s main character must suffer through the homophobic taunts of his peers, an assault, and the stares of those who can’t seem to grasp the idea of a boy with heeled boots and a cosmetics bag. While amazing yet highly unrealistic events take place throughout the novel, teens and adults alike will relate to this protagonist’s tale of living as an outsider in his own community. Wright’s novel also touches on some very real issues facing young people today including poverty, father absenteeism, layoffs, and instances of abuse. One of the most immediate and pressing issues in the novel involves Rosalia, Carlos’ older sister, who is incapable of a breaking up with a man who leaves the marks of violence all over her face. Though Carlos is admirably perseverant, at times he can appear unappreciative and overly critical of those around him who don’t live up to his standards. Since the book is written from Carlos’ point of view, it predictably focuses on characters’ appearances. In particular, his best friend’s entire personality is overwhelmed by Carlo’s constant descriptions of her overeating, so that by the time the book is finished, readers will remember her only as the girl with an eating problem. Carlos is often self-absorbed, placing his goals before his loved ones and failing to take responsibility for his actions. However, these traits are typical of a teenager, and the novel serves to show how the boy grows as a person enough to stand up for his family and realize that the choices he makes have an impact on himself and others. 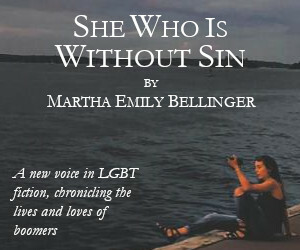 It is refreshing to delve into a novel for young queers that depicts the lead character as not only out, but proud to strut around as a flamboyant and somewhat stereotypical gay male. 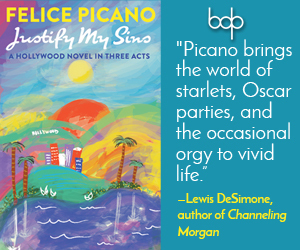 This oft hilarious and occasionally heartbreaking novel is the perfect quick summer read for those of us who aren’t up for the 1,000 page saga. Wright poignantly tells the story of a young queer Latino boy who would have otherwise been designated a minor role within a white, heterosexual framework. Meanwhile, Carlos’ mother, sister, best friend, and crush –any of whom could otherwise have been a lead – slide into supporting roles that are generally well-developed but of clear sidekick status. 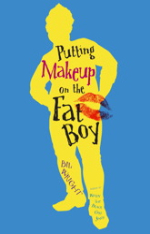 Whether owning a drawer full of makeup or none at all, readers will root for this teen as he deals with the trials and tribulations that come with growing up. Diana Denza is the social media manager for a leading skincare company. She also blogs for BUST and BettyConfidential.